Shooting Zombies in gaming is a sub genre on its own with seemingly endless amounts of games released every year across every gaming platform available. Virtual Reality isn’t immune to this phenomenon as we have had a fair bit on undead shooting titles to grace our headsets. Don’t get me wrong, I love dispatching undead hordes and the more gruesome and destructive, the better! The latest Zombie shooter is Dead Land VR, which is more then just a shooter, it’s an endless runner too, a genre no one is tired of! Is it ever a good idea to run through grave yards? Despite its shooter roots, the DS4 is your only option and the only controls are head tracked aiming and moving from side to side with the thumb sticks. In this regard it very much reminds me of mobile titles using simple, repetitive mechanics to extend gameplay. 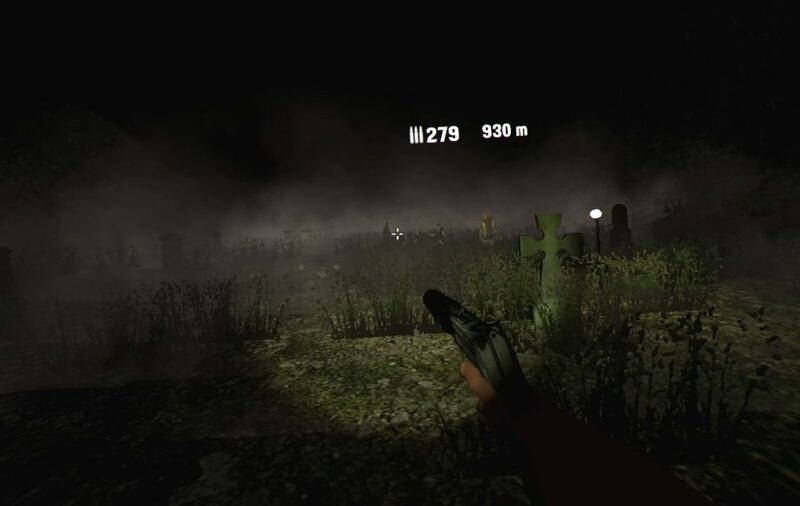 Each time you start a new run, the level will change up so you never know where you’ll be starting off, though the appearance is almost irrelevant as the you run along a predetermined path avoiding or killing zombies to see just how far you can get. 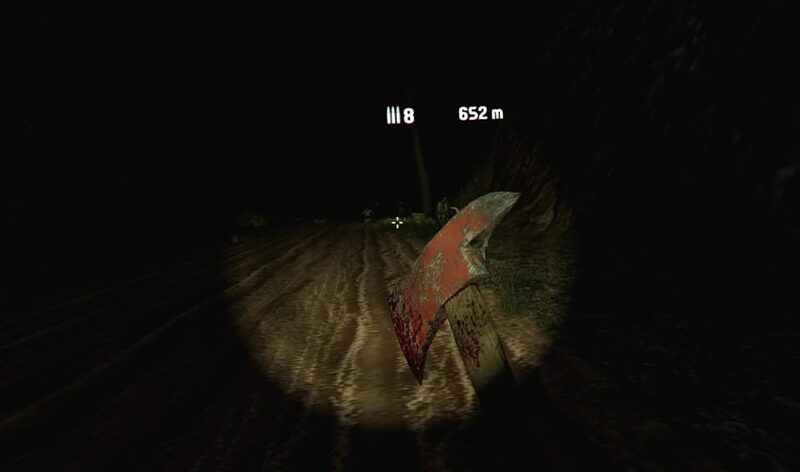 Initially you are only armed with an axe, which is insanely difficult to use, and it doesn’t take too long before you earn enough credits to unlock a pistol. Each run will earn you money so the longer you go, the more coin you’ll receive which can be spent on in-game buffs like more starting ammo and weapon drops or be saved for unlocking more deadly weapons. Dead Land VR doesn’t look good. It’s not awful given the nature of the game, but by no means does anything impress and analyzing any single element in the game will reveal some mid 90’s levels of detail and animation. 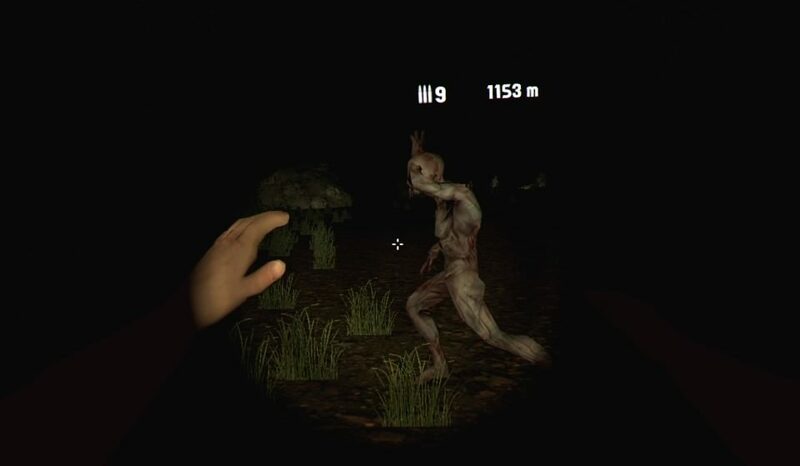 The game is dark with the path ahead of you only lit by your head mounted flashlight with you running along roads, through fields and caves and bunch of other locales. Zombies are a constant threat and litter the area in front of you though are easily avoided at any game’s onset. The further you progress, the more enemies unlock so while you only see your standard zombie at the beginning of every stage, soon enough you see some crazy dogs, super zombies and possibly few others, though I can’t confirm that as I always die at the Supers. Running forward is fine but turning is an issue as you move at a constant pace and for those that may get sick, the turning in here may upset your tummy a little. The only sounds in the game are that of the enemy, your heavy breathing and your attacks on the zombies which is fine enough though some of the weapons and impact sounds are subdued or just sound off. 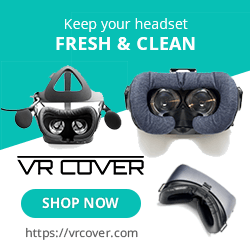 For all it’s simplicity, Dead Land VR fails on a few accounts. Hitting anything with an axe head-on is near impossible and I don’t think I successfully did that once. They key is to come at them from the sides, but as you need to avoid the zombies, coming at them from the sides is pointless as you have already avoided them. Later enemies will come right at you making the axe the poorest choice of weapon in the game, assuming you had a choice…you don’t. Even though you unlock better weapons, the game randomly starts you off with whatever you unlocked and anytime you see a pickup box ahead of you, it’s a gamble what you’ll find. Maybe more ammo for your current weapon, or another gun or that damned axe. It’s so frustrating to have a gun with ammo still left in it and grab a box that automatically dumps your firearm in favor of that stupid axe. This random pickup mechanic not only kills any chance for deep runs but kills the desire to play again and again to unlock better weapons as you may still be stuck with the next-to-useless axe. I also encountered insane frame drops to the point where I thought the game was just going to crash, though it managed to pick it back up just in time for me to run into a zombie and even though I only experienced this on 2 occasions, it’s baffling that this game passed Sony’s strict QA requirements. These guys end my game EVERYTIME!